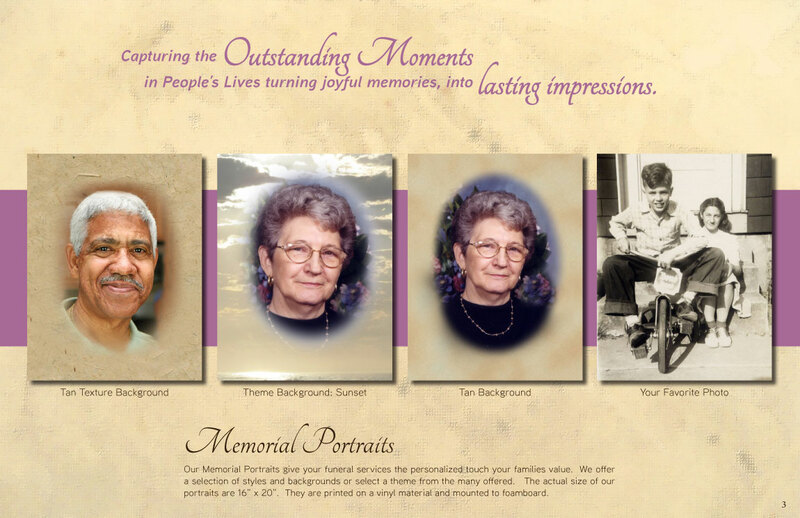 Capturing the outstanding moments in people’s lives, turning joyful memories into lasting impressions. 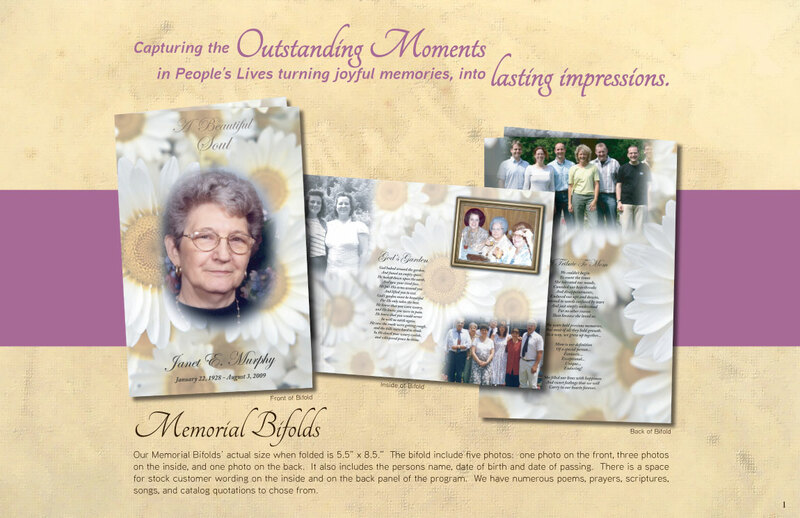 The Bellia family is a business of caring individuals working together to produce quality memorial keepsakes. 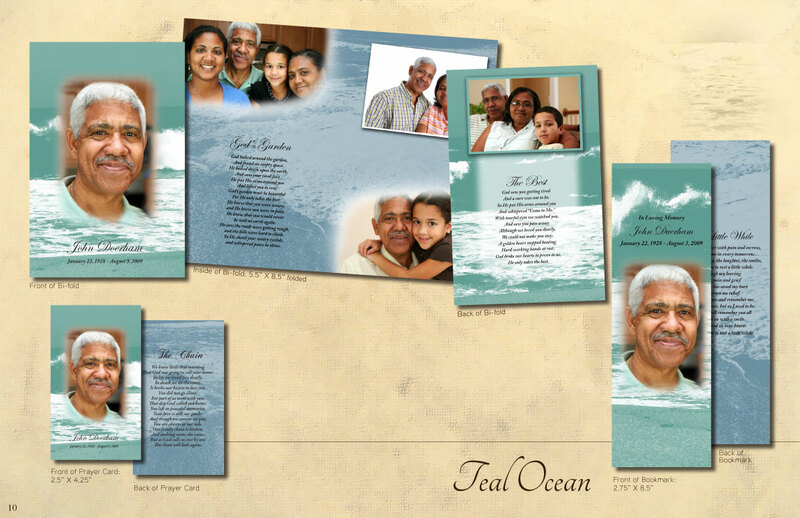 We specialize in providing high quality printed material to honor your loved one. 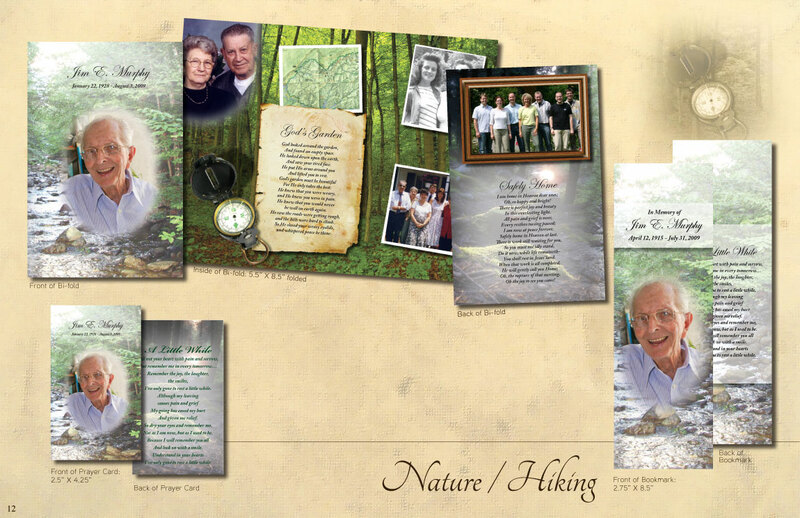 We offer a full range of services including custom graphic design, hundreds of themed templates, full color digital printing, delivery and more. 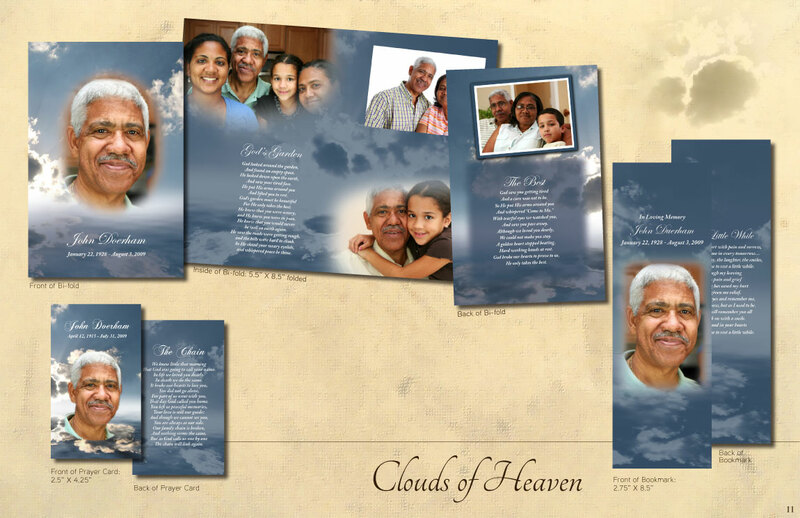 For your convenience we have a wide variety of themed templates available to choose for your memorial. You can browse our offerings by viewing the PDF below. 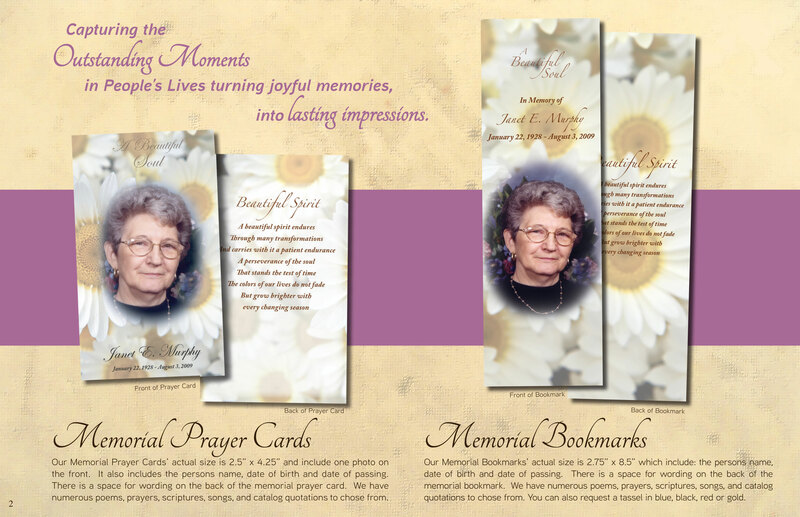 Our Memorial Prayer Cards’ actual size is 2.5” x 4.25” and includes one photo on the front. It also includes the person’s name, date of birth and date of passing. 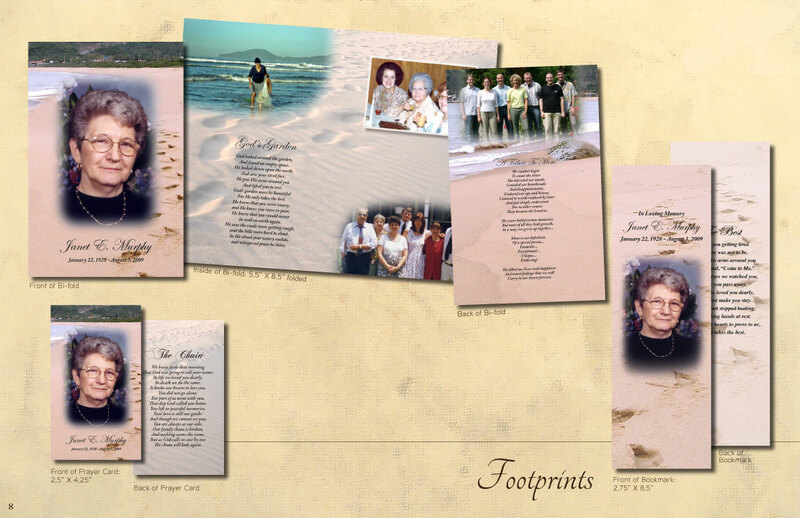 There is a space for wording on the back of the memorial prayer card. 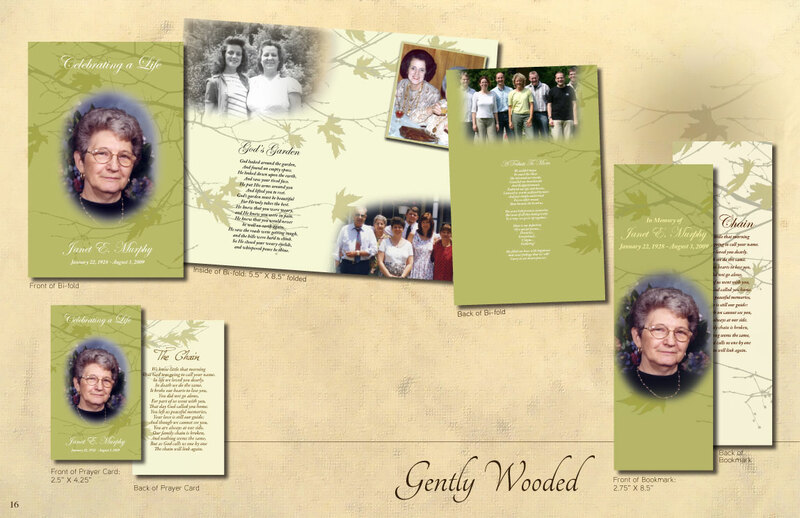 We have numerous poems, prayers, scriptures, songs, and catalog quotations to choose from. 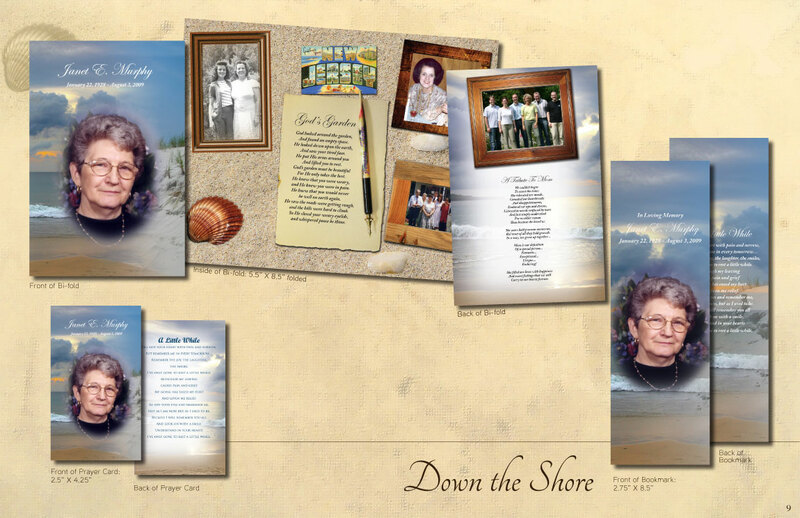 Our Memorial Bifolds’ actual size when folded is 5.5” x 8.5.” The bifold include five photos: one photo on the front, three photos on the inside, and one photo on the back. It also includes the person’s name, date of birth and date of passing. 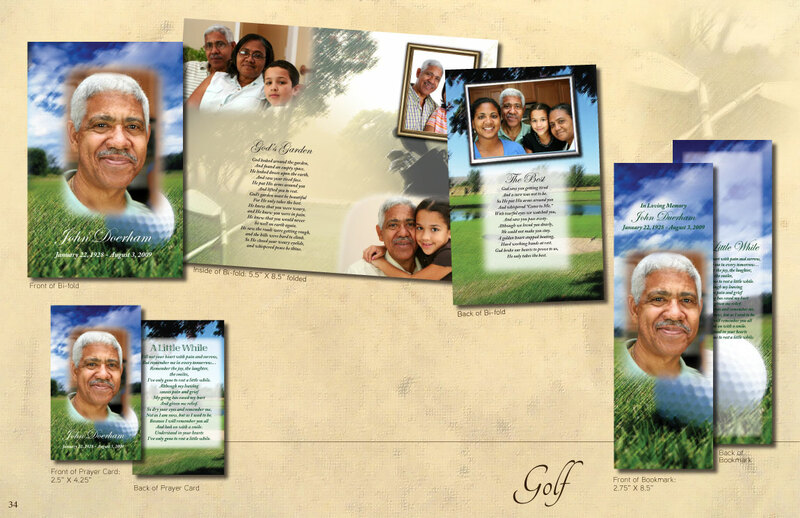 There is a space for stock customer wording on the inside and on the back panel of the program. 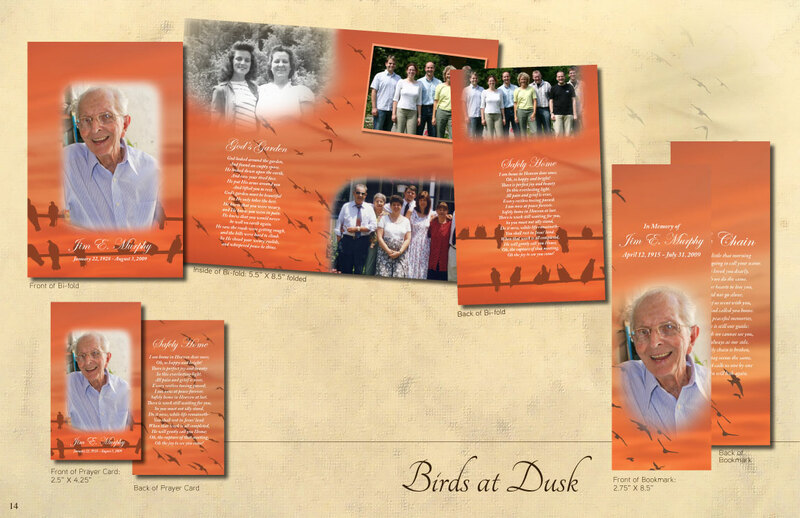 We have numerous poems, prayers, scriptures, songs, and catalog quotations to choose from. 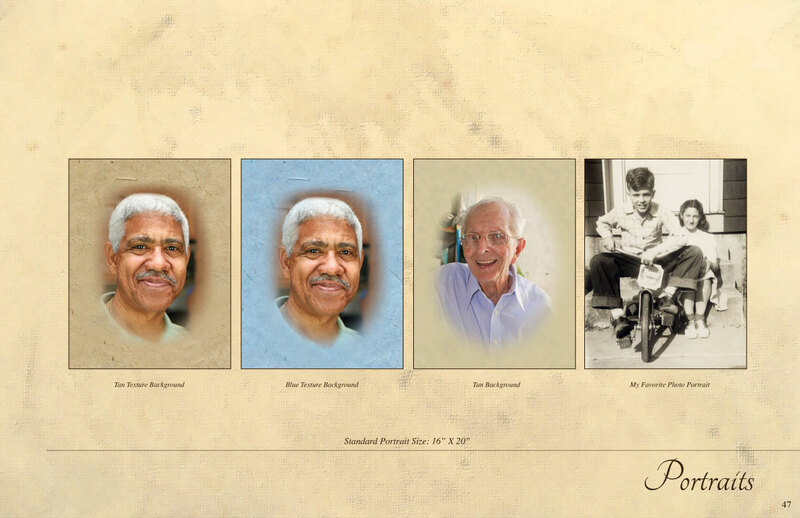 Our Memorial Prayer Cards’ actual size is 2.5” x 4.25” and includes one photo on the front. It also includes the person’s name, date of birth and date of passing. 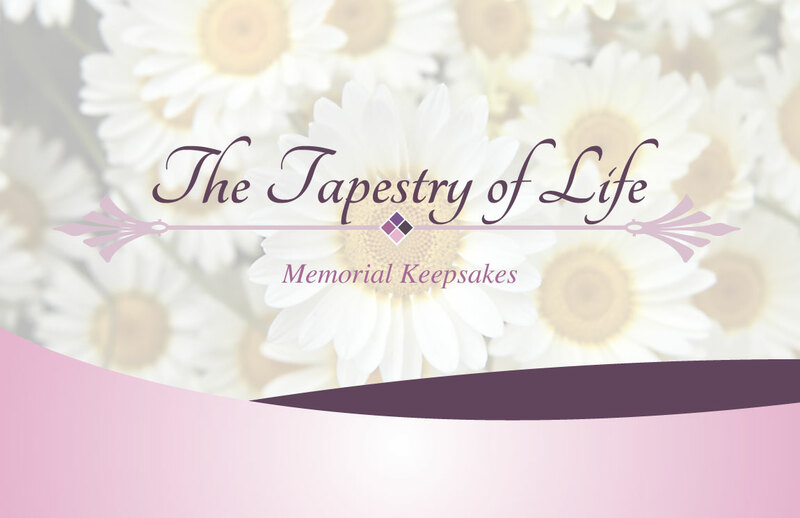 There is a space for wording on the back of the memorial prayer card. 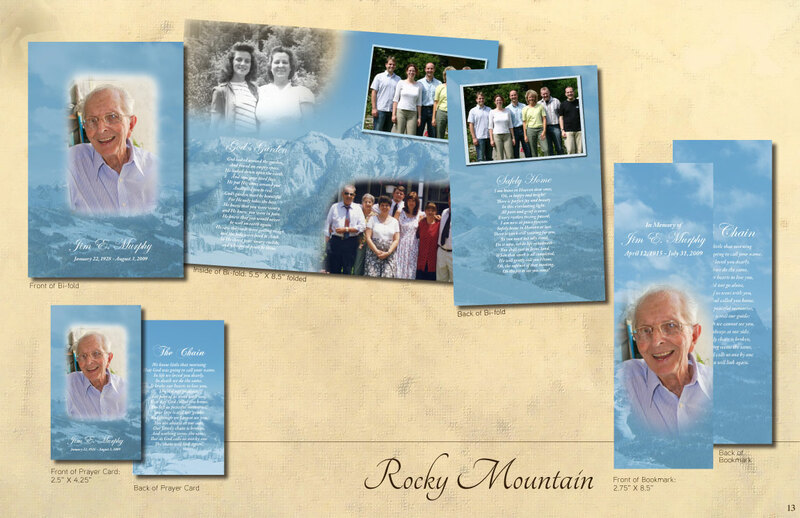 We have numerous poems, prayers, scriptures, songs and catalog quotations to choose from. 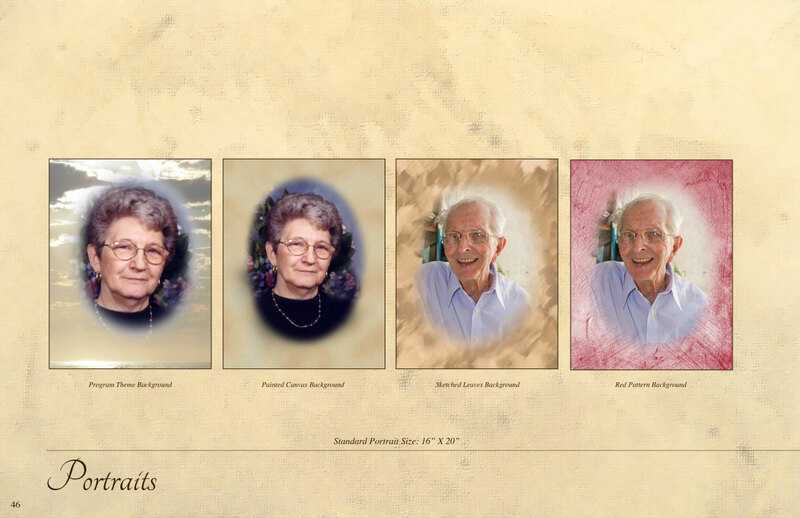 Our Memorial Portraits give your funeral services the personalized touch every family values. 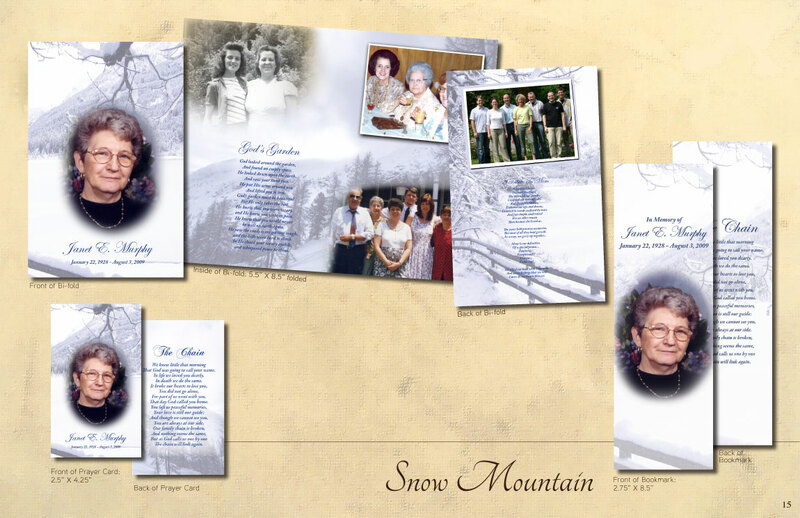 We offer a selection of styles and backgrounds or select a theme from the many offered. The actual size of our portraits is 16” x 20”. They are printed on a vinyl material and mounted to foam board. 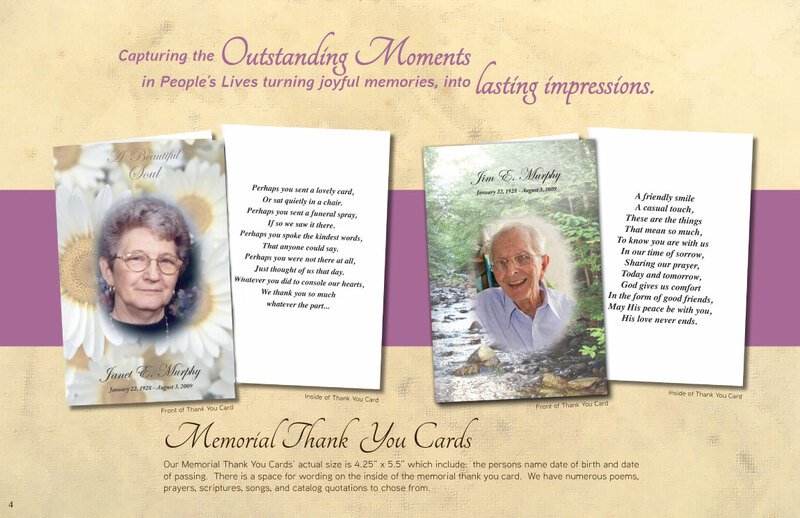 Our Memorial Thank You Cards’ actual size is 4.25” x 5.5” which includes the person’s name date of birth and date of passing. There is a space for wording on the inside of the memorial thank you card. 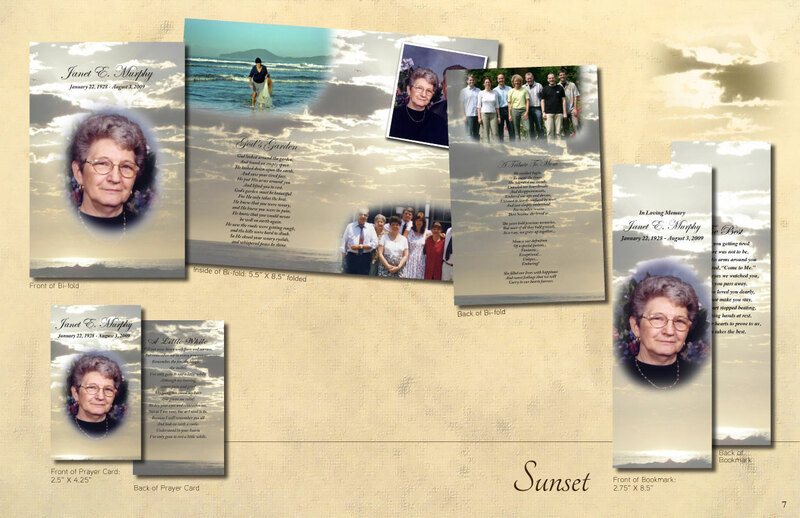 We have numerous poems, prayers, scriptures, songs, and catalog quotations to choose from. Excellent service is the most important aspect of The Tapestry of Life. Our caring and competent staff is always ready to help. We encourage you to ask questions, make comments and share your ideas regarding our services and website. You can call us directly or fill out the contact form provided on our contact page.